A proper Volkswagen - just a smaller one. The up! has enabled the German brand to regain the initiative in the important citycar sector and this improved version sets a high standard for contenders in this class, adding in turbo 1.0-litre power at the top of the range. Frugal, fun, clever and competitively priced, the up! is a key model to consider, not only for those in the market's smallest segment but also for people buying a compact car of any kind. In concept, Volkswagen's up! was smarter even than the finished product we see here, the original 2007 prototype rear-engined just like the early Beetle as the German designers sought to find more space from an ever-smaller roadway footprint. But such complexity would have made the finished production version as expensive as 'lifestyle' small cars like the MINI or the Audi A1. Which wasn't the point at all. This, the company decided, must be something almost anyone could afford. In any case, it could still be clever even if it was conventional. If the engine could be smaller, the wheelbase longer and the overhangs shorter, the ambitious cabin space goals set by the rear-driven concept could still be achieved. A basic formula to which has been added all manner of innovation. Depending on its purpose and the preference of its buyer, an up! can guide you with Google. It can brake itself to avoid an accident. It can be a hot hatch. Or, at the other extreme, an electric runabout. It can, in short, be all things to all people. A real Peoples Car. Under the bonnet, the main news for up! buyers is the addition of an extra three cylinder petrol engine to the range, a pokier 1.0-litre TSI turbo unit with 90PS on tap. This sells alongside the existing normally aspirated 1.0-litre powerplants most customers will continue to want, these generating either 60 or 75PS. These feature a characteristic offbeat rasp that isn't unpleasant and rather suits this car's rather individual charisma. You'll certainly be hearing plenty of the volume engines if rapid progress is needed, for without a turbocharger to boost torque, the 60 or 75PS units need to be revved quite a bit, peak power not arriving until 6,000rpm, only 600rpm shy of the red line. Most will be content with the base 60PS version, capable as it is of sixty in 14.4s on the way to 99mph, quite enough to keep up with the traffic. I'm not sure I'd see the point of finding a lot more money for the 75PS variant, given that the performance gains are relatively slight (0-60mph in 13.2s on the way to 106mph). The 1.0 TSI turbo would be a fun choice though, offering performance that Volkswagen says is comparable to that provided by the first generation Golf GTI. In its ultimate 115PS form, it powers the fun GTI hot hatch version. The especially frugally-minded will be interested to try the full-electric e-up! version which has a battery powerplant capable of putting out the equivalent of 82PS. Not too much has changed with the looks of this car. There are re-styled bumpers, a sleeker rear diffuser, door mirrors with integrated indicator lights, revised headlights with LED daytime running lights and smarter rear lights. Otherwise, it's as you were, so a length of around 3.5-metres, yet a wheelbase that takes up nearly 2.5-metres of that. Which is why, though an up! is no longer than a Fiat 500, it offers far more room inside, space in fact for the four fully-sized adults who could never comfortably fit in the apparently space-efficient Italian car. How has this been done? By shortening the front and rear overhangs as much as the designers dared, something only possible at the front by mounting the radiator alongside rather than in front of the very compact engine. The result is a tardis-like interior just as big as that of Volkswagen's far pricier Polo supermini. Take luggage space as an example; as long as you can lump your stuff over the rather high sill, you'll find 251-litres of space or 951-litres with the seats folded. The changes made to this revised model inside are even more subtle than those made to the exterior. There's classier background lighting, while plusher models get a redesigned 'Climatronic with Pure Air' air conditioning system and the option of a 'beats with a 300W' sound set-up. Otherwise, it's all very recognisable from before, the cool dished three-spoke steering wheel fashioned from light magnesium and framing an instrument cluster of refreshing simplicity. A pity though that it's still only adjustable for height, not for reach. The interior design with its large speedometer is clean and easy to get to grips with, featuring high gloss back trim and a compact centre pod for many of the minor controls. True, there's no shortage of hard plastics, but this doesn't feel like a car that's been ruthlessly built down to a price. It just feels agreeably minimalist. Prices, as before, sit mainly in the £9,000 to £15,000 bracket, though the all-electric 'e-up!' will cost you just over £20,000, once the government grant has been substracted from its asking price. As before, there's a choice of either three or five-door bodystyles and the option of a semi-automatic robotised clutch-less 5-speed gearbox as an urban alternative to the usual 5-speed manual. And again, the main combustion engine trim levels are 'take up! ', 'move up!' and 'high up!'. Across the range this time round, there are new exterior colours and a range of roof, design and colour packs to match them. Plus buyers can choose from a range of customisable dashboard designs and specify a 300W BeatsAudio sound system. Smartphone integration's better too. Bear in mind that the bottom end of the pricing spectrum gets you a very basic car indeed, so most will want to find an extra £1,000 to get themselves into mid-spec 'Move up!' trim. Here, you get the freshly developed media-savvy 'Composition' radio system, a USB port, an enlarged multi-function display and a customised "Black Cube" design dashpad as standard. The 'high up!' models add ambient lighting, a customised dashpad, heated front seats, a multifunction steering wheel, six loudspeakers, fog lamps with integrated static cornering lights and 15-inch 'Radial' alloy wheels. Air conditioning still comes as standard on this top variant. Any citycar stands or falls on its ongoing costs and here, the up! looks to have all its bases covered. Thanks in part to a low kerb weight of well under a tonne, even the 75PS 1.0-litre models will return a combined fuel economy figure of 60.1mpg with emissions pegged at 108g/km. Opt, as most people will, for the 60PS engine and the figures are better again, at 62.8mpg and 105g/km. Those looking for better economy still will be drawn inexorably to the BlueMotion Technology model which features low rolling resistance tyres, a battery regeneration system and a stop start system that cuts the engine when you don't need it in traffic or at the lights. As a result, it can return an impressive 68.9mpg on the combined cycle and emit just 96g/km of carbon dioxide. With a 35-litre fuel tank, this means that this variant has a theoretical driving range of as much as 530 miles. With this kind of showing, it's obvious why diesel versions of this car aren't offered. Even the 1.0 TSI will give you a tax-friendly 102g/km CO2 reading. If you really want to minimise your running costs, then you'll want to look at the e-up! full electric version. A standard full charge will give you 93 miles of range and takes less than nine hours from a standard 230-Volt, 2.3 kW household socket. On top of this, all e-up!s have a DC fast-charging circuit as standard. Using the Combined Charging System (CCS), this enables a flat battery to be charged to 80 per cent in 30 minutes, at levels of up to 40 kW using a DC supply. 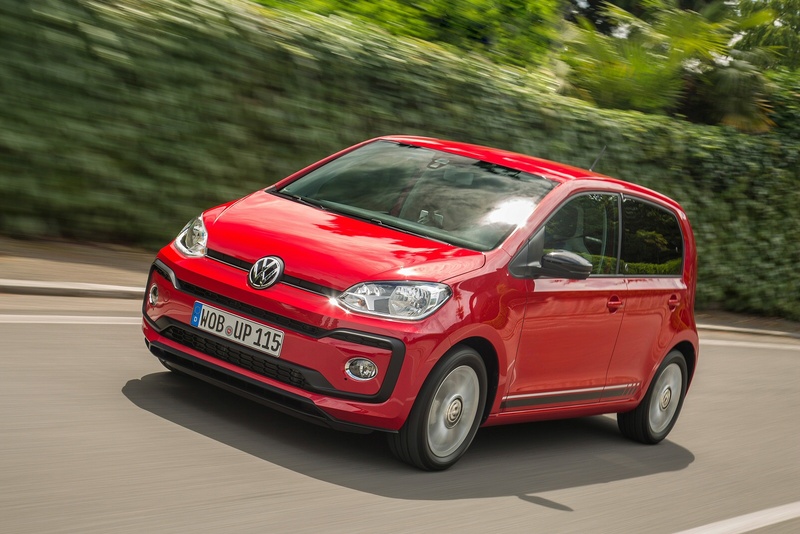 If you�re looking for a new Volkswagen Up 1.0 Take Up 3dr Petrol Hatchback for sale, you�ve come to the right place. 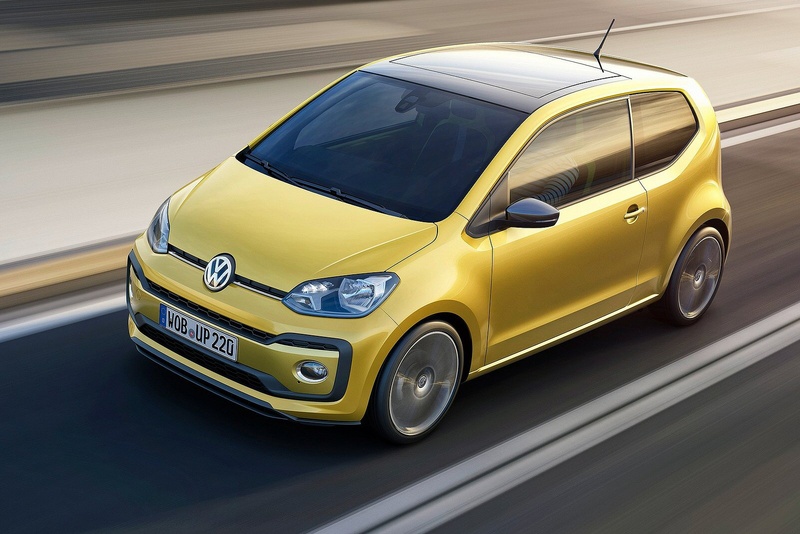 At Bristol Street Motors we don�t just have the best Volkswagen Up 1.0 Take Up 3dr Petrol Hatchback deals, we also offer friendly advice and help with all your enquiries to ensure your buying experience is a happy experience.